A practical four pack set of three round brushes suitable for multiple cleaning tasks in different areas of the home. 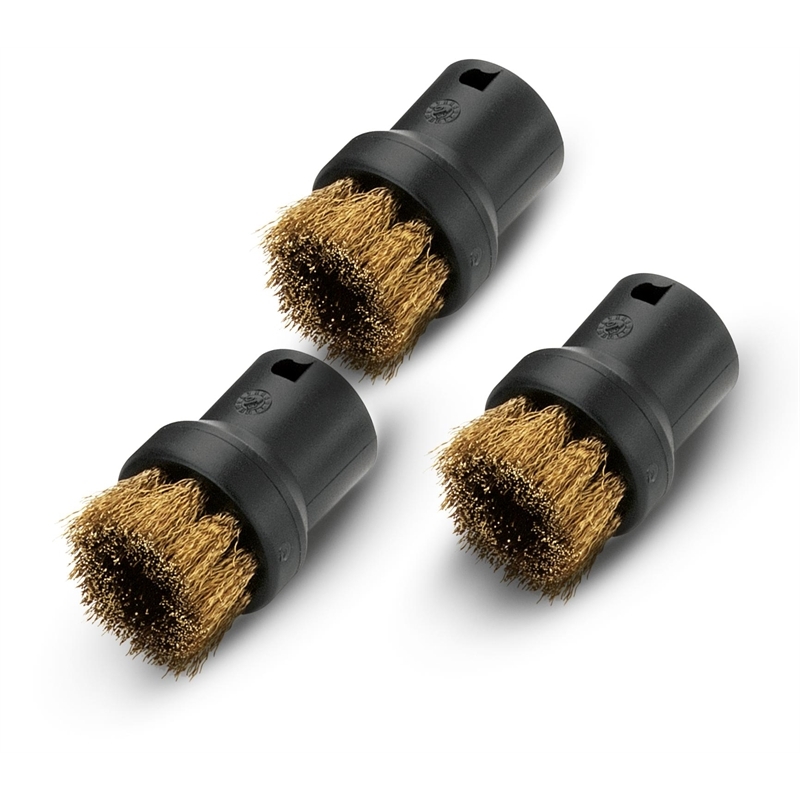 Brass bristles help provide mechanical cleaning action to the Karcher Steam Cleaner. Ideal for hard surfaces such as BBQ's, oven trays and cleaning in confined spaces. Effortlessly removes stubborn encrustations and dirt. Brass bristles - ideal for BBQ hot plates, oven racks and trays and other hard, scratch resistant surfaces.